Kosse Homecoming Weekend and Other Events - ​Welcome to Kosse, Texas! - A Little Town with a Big Heart The official web site of the Greater Kosse Chamber of Commerce. Kosse is located in Limestone County, Texas. Kosse every year since the 1920's. 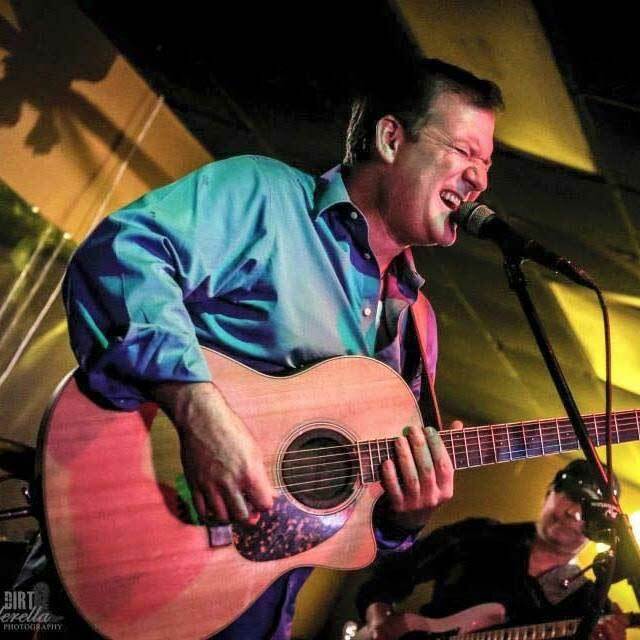 Join us June 7 & 8, 2019 for two days of fun, food and music. Proceeds support the Kosse Community Center, the Kosse Heritage Society, the Kosse Volunteer Fire Department and various community projects around Kosse. Enjoy the fun and friendship while supporting Kosse! Homecoming has been the signature fundraising event in Kosse every year since the 1920's. 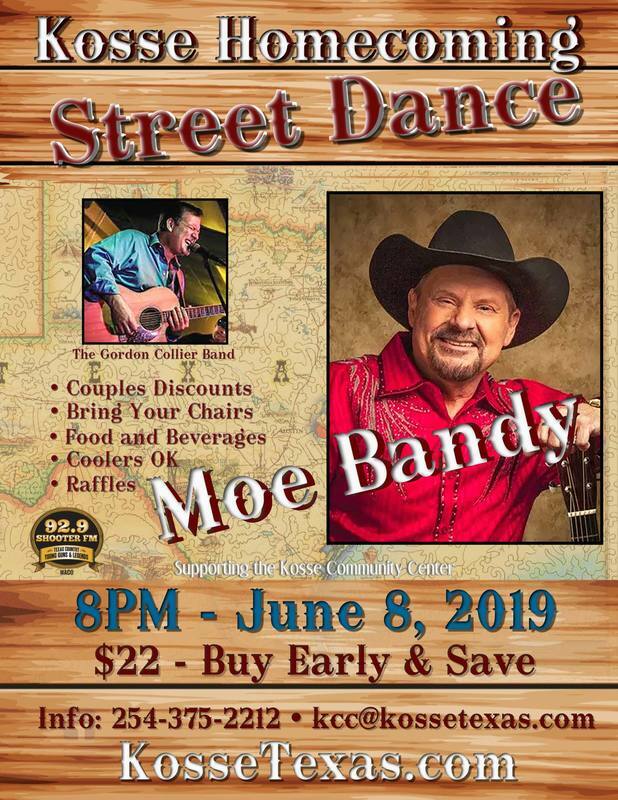 Country Music Legend MOE BANDY headlines the 2019 Street Dance! 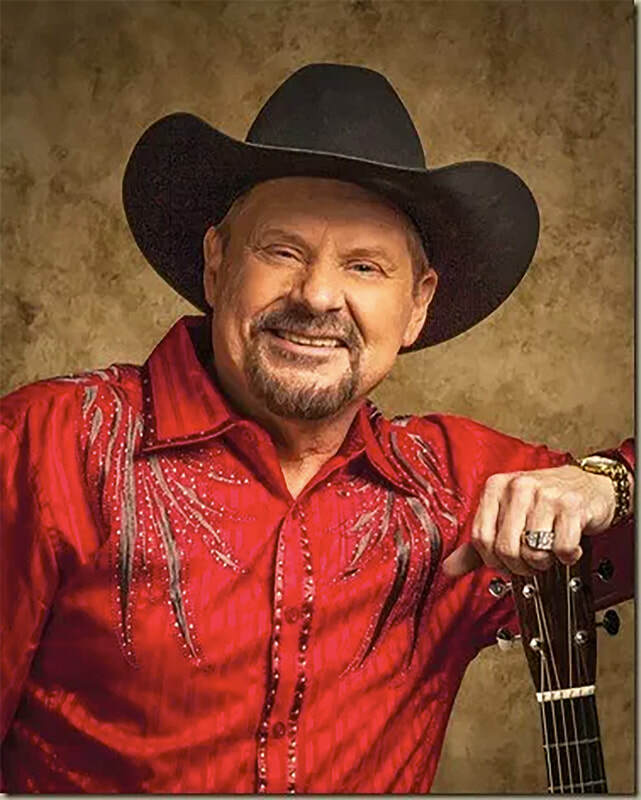 MOE BANDY with The Gordon Collier Band. Buy your tickets early and save $$!